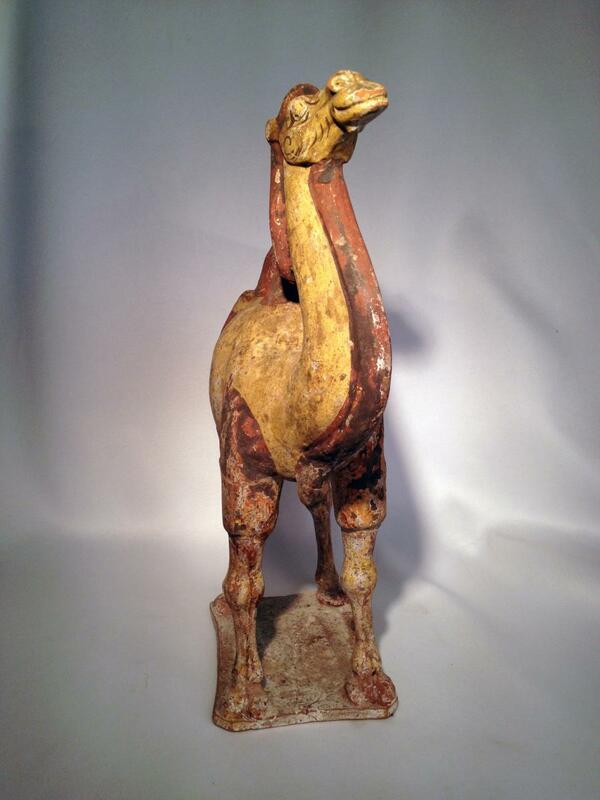 A handsome example of a Tang Dynasty camel with original polychrome remaining. 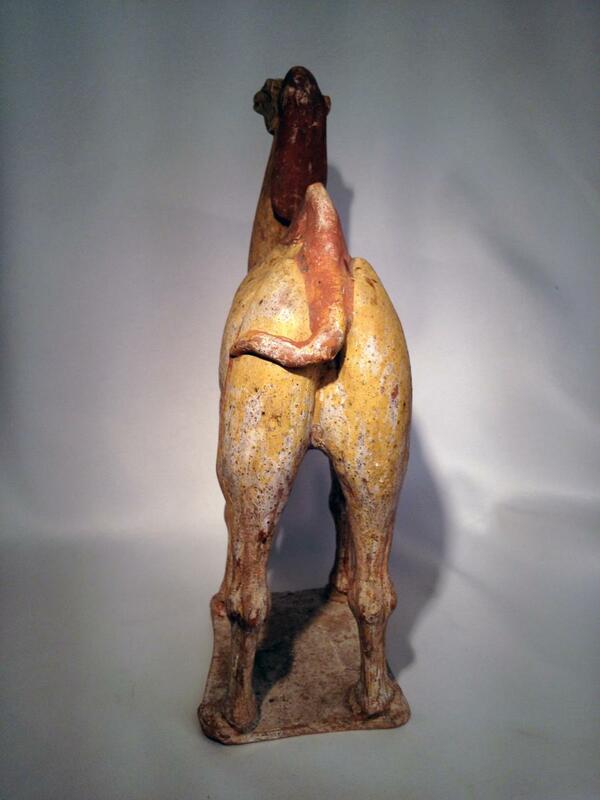 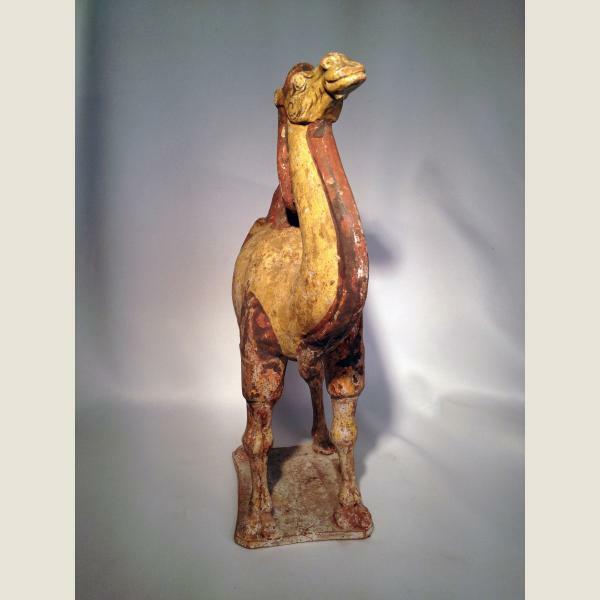 Vividly depicts the camel's attitude and haughtiness. 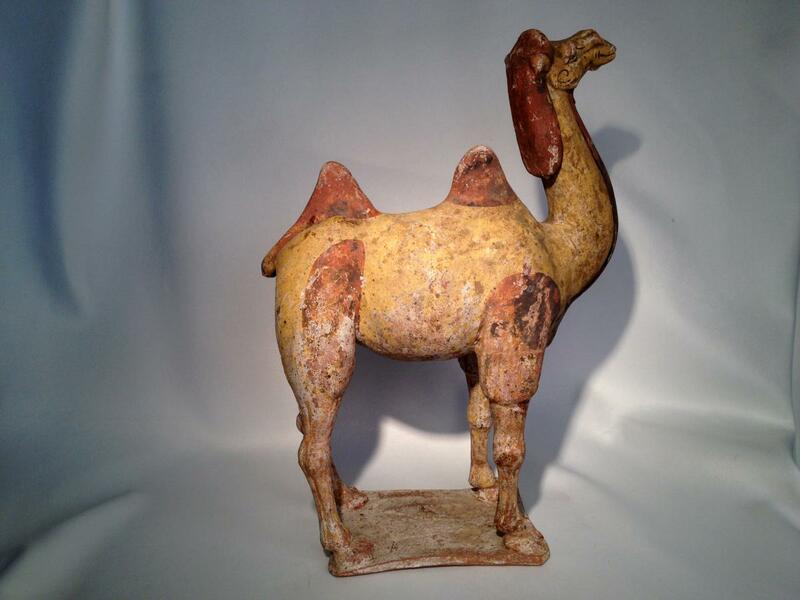 This ceramic camel dates to the Chinese Tang Dynasty (618-906 CE). 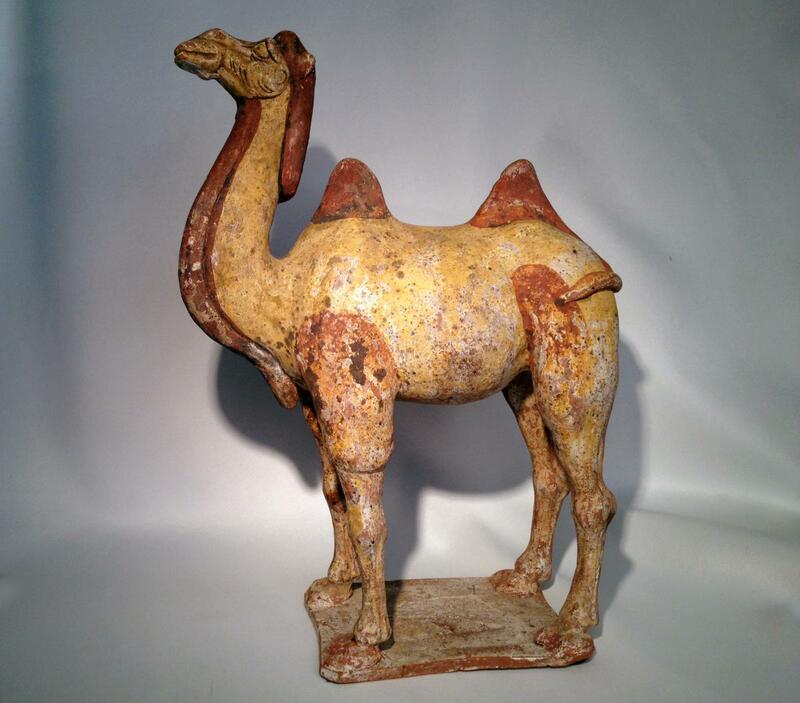 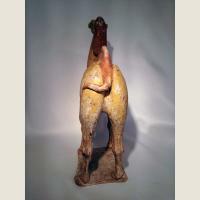 The camel is standing on four slender legs, on a square plinth. 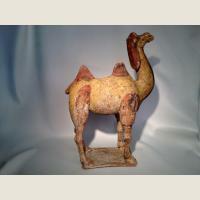 It has a round belly, two pointed humps on its back and a tail that is swung to one side. 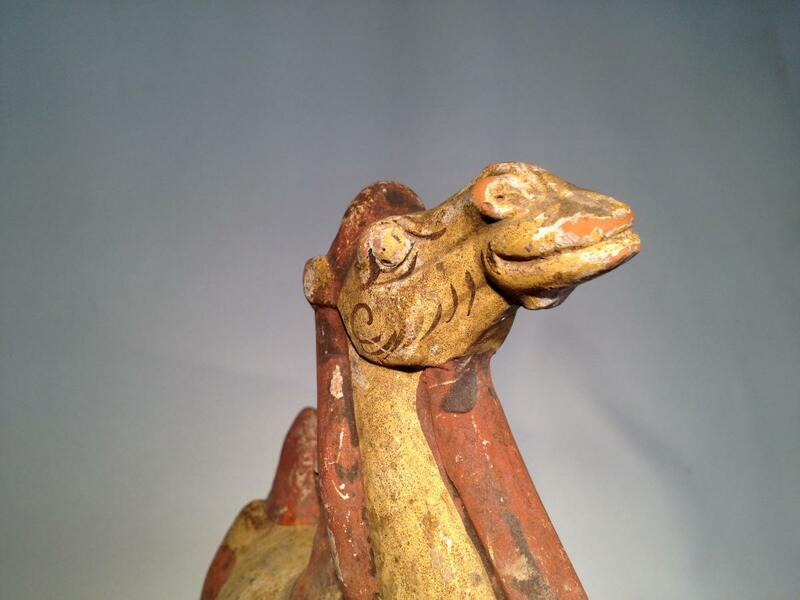 The long, s-shaped throat draws the gaze to the accentuated face of the animal. 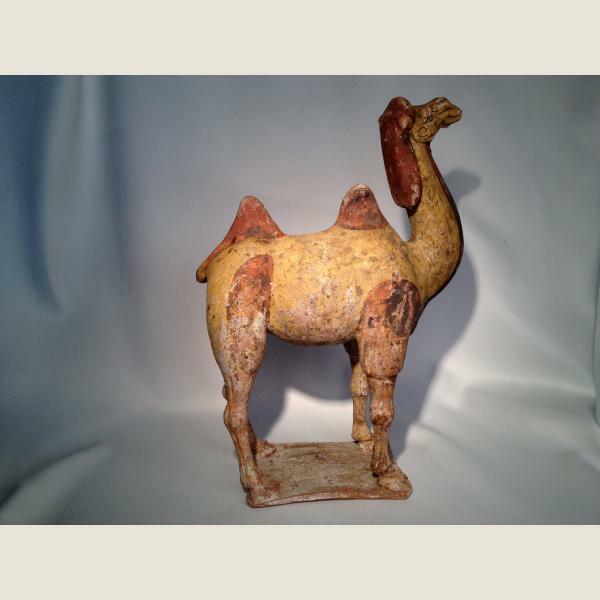 The camel is partially decorated with red and white cold paint. The Tang camel is in optically appealing condition with the usual signs of wear, such as paint chipping and incrustations. 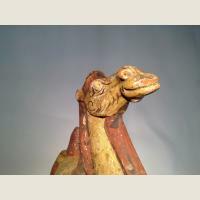 Breakages have been restored all over. 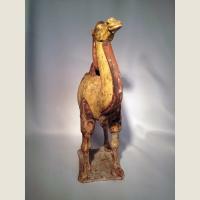 The object is 40 cm tall, 27 cm wide and 10 cm deep.